Home/All Products, High School Plus, Primary School Age/Superflex and Kool Q. Cumber to the Rescue! 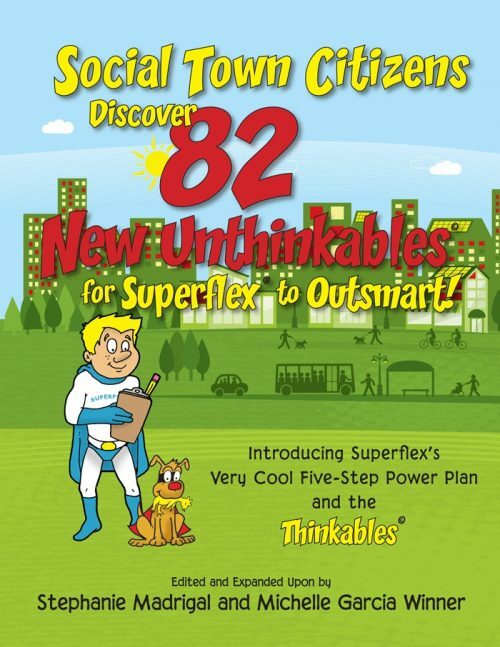 Introducing the Thinkable, Cool Q. Cumber, who helps Social Town Citizens stay calm when problems happen. 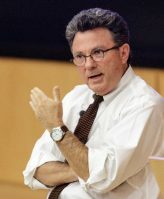 He also uses strategies to help figure out the size of a problem and the expected size of your reaction. Cool Q. Cumber helps keep the Unthinkable Glassman at bay. 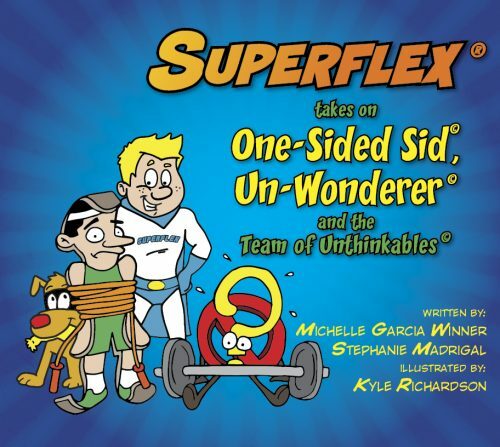 Buying Tip: Superflex Takes On Glassman and the Team of Unthinkables is Kool Q. Cumber’s companion book, which should be taught first. 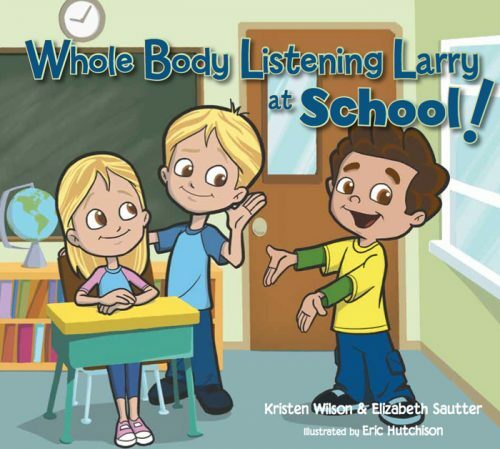 Using strategies to defeat Glassman: calming my body, breathing in, tightening all my muscles, breathing out and relaxing them; using positive self-talk, etc. 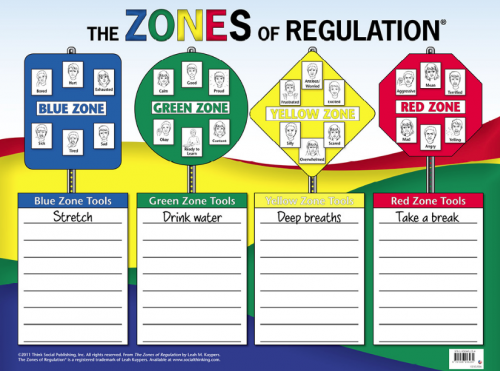 The Five-Step Power Plan helps organize children’s thinking so they can more effectively problem solve what’s happening around them. 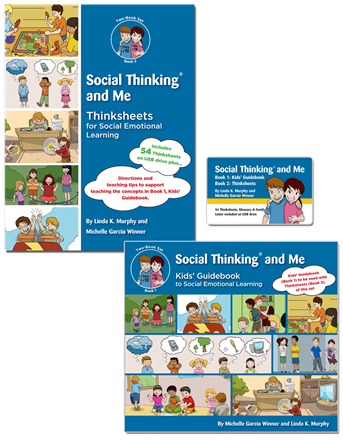 This aligns with and supports the four steps in the Social Thinking Social Competency Model: attend, interpret, problem solve, respond. Using the Five-Step Power Plan to assess the social dilemma. 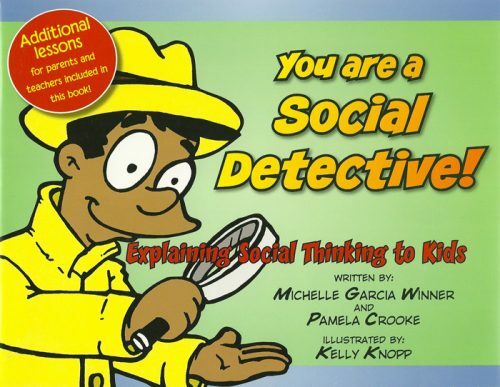 In situations where students find it fun to act out ONLY the negative powers of the Unthinkables, use Kool Q. Cumber to shift attention to the positive powers for defeating Glassman. 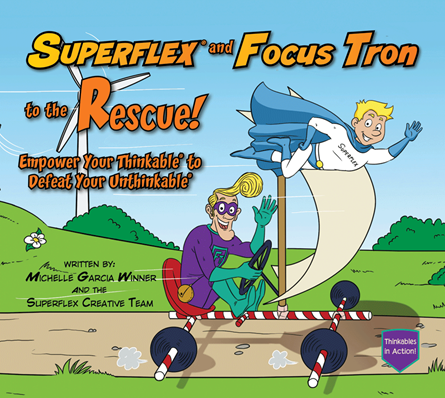 Focusing exclusively on the negative powers prevents students from learning how to defeat an Unthinkable! Kool Q. Cumber can help when other Unthinkables invade a student’s brain alongside Glassman—Rock Brain, Worry Wall, and D.O.F. (Destroyer of Fun), etc. 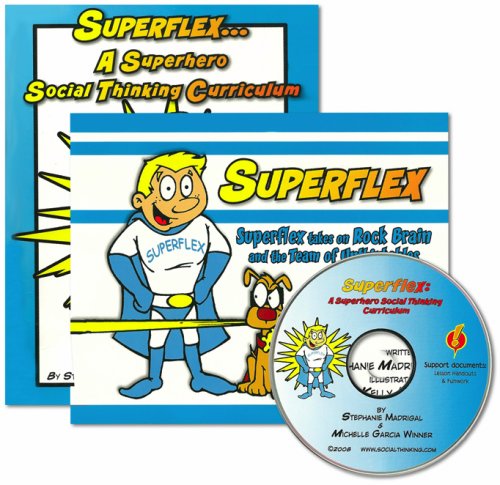 Teach BEFORE or alongside teaching the Superflex Curriculum if working with kids ages 9-12. Once kids have reached this point, you can choose from an array of Superflex products to teach depending on the concepts your kids need to work on. To dive deeper into strategies for staying calm when problems happen, move on to the books listed below. 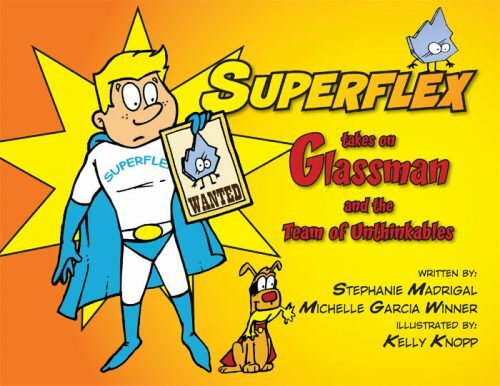 Superflex Takes On Glassman and the Team of UnthinkablesThis is Kool Q. Cumber’s companion book, which should be taught first. 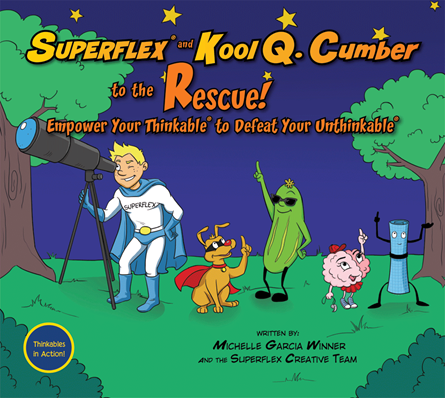 Superflex and Kool Q. Cumber to the Rescue!You’re on this book’s web page.